By Effect Home Builders Ltd. This contemporary styled home sits upon a signature Nicklaus golf course in Horseshoe Bay Texas. 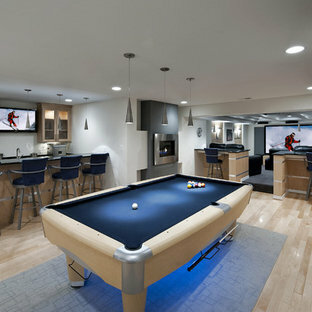 The owners of this home desired to have an extensive outdoor living area that would be private from the golfing public. We created an entire outdoor living area enclosed within a courtyard like area and further enhanced the entertaining possibilities by utilizing motorized glass walls that retract to allow open access to both indoor and outdoor living area's. 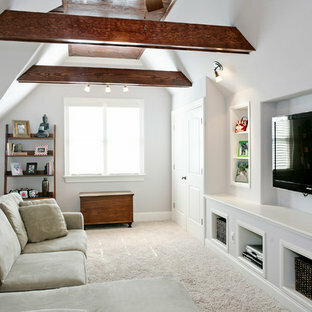 By Catherine Renae Thomas Design Co.
By Beaman Building and Realty, Inc.
Family bonus room with slanted ceilings. 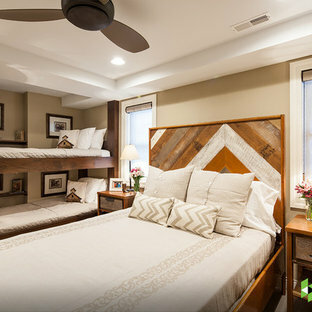 Custom built ins and daybed create a great place to hang out with the kids and a comfortable space for an overnight guest. 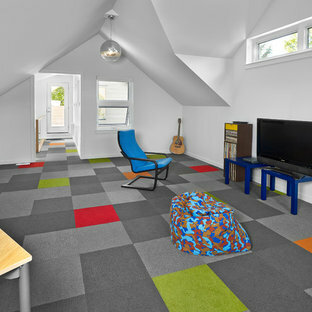 Robeson Design creates a fun kids play room with horizontal striped walls and geometric window shades. 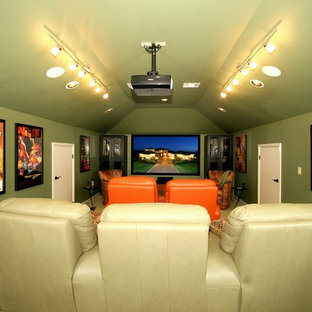 Green, white and tan walls set the stage for tons of fun, TV watching, toy storage, homework and art projects. Bold green walls behind the TV flanked by fun white pendant lights complete the look. David Harrison Photography Click on the hyperlink for more on this project. Photo of a huge rustic full sun backyard concrete paver driveway in DC Metro.